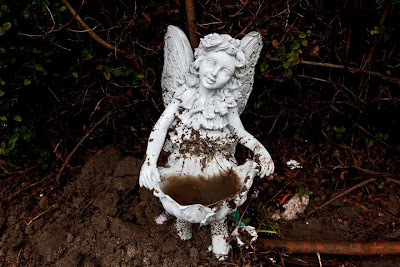 Yard nymph filled with muddy water. 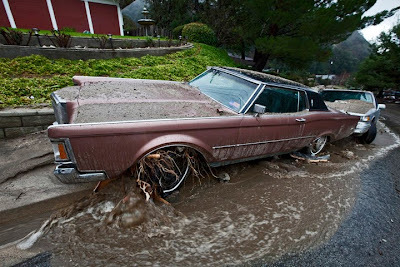 Car moved by the moved flow. 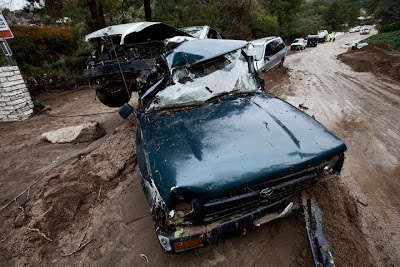 Cars destroyed by the mud flow. 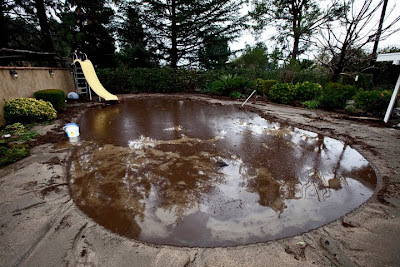 A backyard pool filled with mud. 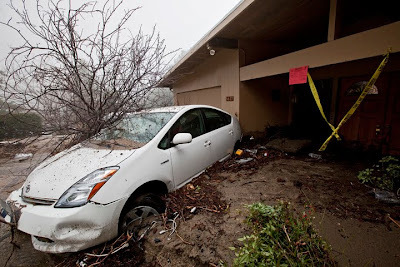 A home and Toyota Prius destroyed by the mud flow. 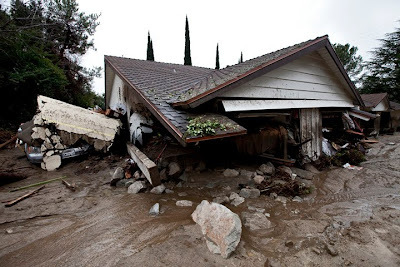 Homes and a truck ravaged by mud. 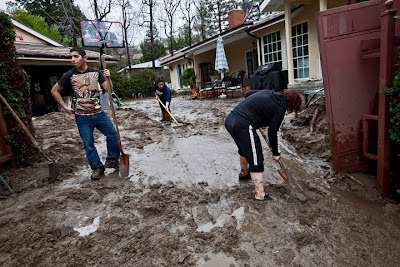 The long dreaded mudslides finally fell upon the foothill community of La Canada. 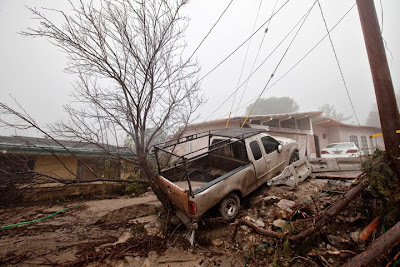 The last day of heavy rains finally pushed the storm soaked ground to give way, and turn Ocean View Blvd. into a river of mud. 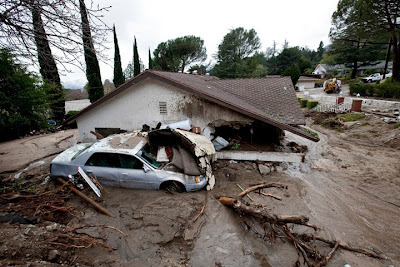 Several homes were destroyed by the mud flow along with several vehicles. The hills of La Canada suffered a devastating fire earlier last year which completely denuded the area.